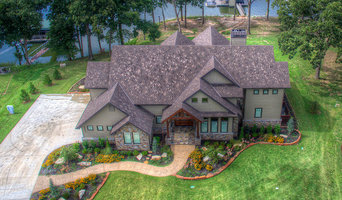 Located in Northwest Arkansas, Smart Interiors provides a full range of interior design and space planning services primarily in unique residences and commercial spaces such as offices, banks, health care and senior living spaces. Owner and designer, Aubrey Pate, formerly worked at Julie Wait Designs, Inc. until December 2017 when Julie Fryauf retired. 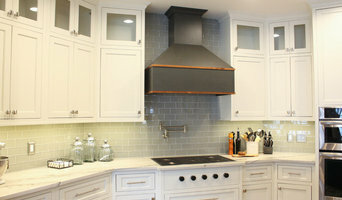 Our residential clients love their new and remodeled homes! ModSouth is Arkansas premier one stop shop for Interior Design and Home Staging services; where clients are the inspiration. Kelly Lueders and Leslie Bennoch have a passion for creating beautiful spaces and assisting clients in achieving their Design and Home Staging goals. We grew up here, spread our wings elsewhere, now we're back in Northwest Arkansas to stay! We've been transforming spaces for 15 years: from humble apartments to historic Craftsmans off Tulsa's Cherry Street, from a loft in Chicago's South Loop to a Fayetteville bungalow & downtown Bentonville ranches. MOD SERVICES: Interior Design & Home Staging Mega MODification Custom Pricing MegaMOD starts just like the MiniMOD with copious planning (and coffee) then you let us do our thing! With your special requests in mind, we take your ideas & run with them! The MegaMOD is the ultimate expression of our mission: transforming what you have (ex. space, furnishings, time & budget) into what you need! The result will be an awe inspiring space reflecting a style that is uniquely you! Mini MODifcation $200/2hr session MiniMod begins by sharing ideas via snapshot, Houzz ideabook or even a torn out magazine page. (old school but still effective :) We brainstorm over your space & schedule an in-home session. We'll arrive raving about the possibilities of your space then get to work addressing color, texture, functionality or whatever suits your fancy! You take notes on our suggestions & future ideas then DIY. We'll do a progress check in the weeks to follow & offer whatever help needed along the way! Home Staging: Staging services start @$100/hr. Furnishings available for rent or purchase. For homeowners or real estate agents who need to showcase the best features of a vacant or occupied home in order to facilitate a quick sale at the best price. Staging a home for sale requires a different layout than how you live because it must welcome buyers' varied tastes. Decluttering is usually involved, as is depersonalizing the space. We own our staging inventory which cuts down cost & time. So let ModSouth stage your home before the first open house & it may be the only one you need! Principal architects Lisa Knemeyer Skiles and Albert B. Skiles specialize in providing personalized, creative design services with an attention to detail, including site specific and energy-efficient building strategies. Established in northwest Arkansas by Albert Skiles in 1981, our firm values the team relationship between client, architect and builder. Skiles' creative designs have been published nationally in Dwell, Southern Living, Popular Science, Journal of the AIA, Landscape Architecture, Garden Design, and state-wide in Arkansas Life, AY, Cityscapes and At Home in Arkansas. Our work includes over 300 new buildings, additions, restorations and renovations in Arkansas, Missouri, Oklahoma and Texas. We provide service for all aspects of residential design, project advising and management – from details to site and home design. Bowerbird’s Michael Cockram has twenty three years of experience in architectural design. Michael’s professional experience began as an intern in the office of AIA Gold Medalist Fay Jones where he was immersed in the highly crafted architecture of an American master builder. Besides running his own practice for many years in Eugene, Oregon and Fayetteville, Arkansas, Michael worked as a designer and construction administration specialist for solar architecture pioneer L.M. Holder III in Austin, Texas. He writes about sustainable design for Architectural Record and other publications. Michael’s writing and research keeps him abreast of current trends in the green building movement. Michael taught as an adjunct professor of architecture and historic preservation at the University of Oregon for sixteen years. 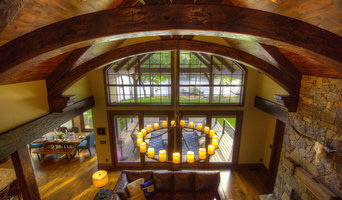 While at Oregon, Michael specialized in sustainable design and design+build projects. 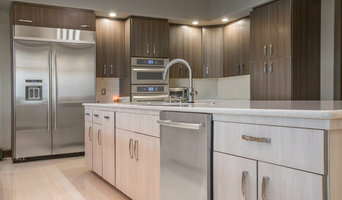 The team at Janacek Remodeling is skilled in all areas of remodeling and construction. From framing to drywall, roofing to painting and electrical to plumbing — we do it all. We undertake even the smallest handyman job including “honey-do’s.” Specializing in Kitchens, Bathrooms and Room Additions. Janacek carries more certifications than any other Remodeler in the area. VERDANT as defined by Webster is “green in tint or color.” We are proud of our dedication to sustainable, “green”, architecture. We included passive sustainability in all of our designs in an effort to save our partners money over the long-haul. We are passionate about great design and we are grateful to our partners that trust us to design great spaces with them. We refer to our ‘clients’ as partners, because that is how our design process moves. We work WITH them to create a space that meets all of their goals.